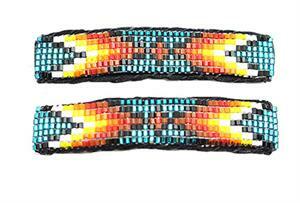 These hair barrettes are sold as a pair and have 7 rows of cut beads on black leather. They measure approximately 3 3/8" long by 1/2" wide. 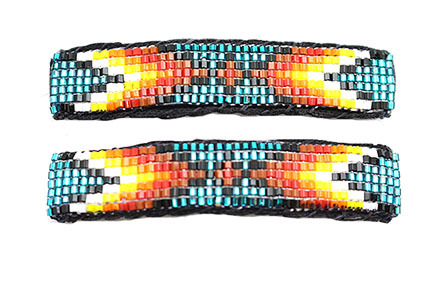 Crafted by Navajo artisan Sylvia Spencer. ***Only available in hot pink. *** None available like pictured.